Stellar Converter for Windows Live Mail is a complete email conversion solution to extract Windows Live Mail email messages to Outlook PST file. The software has an easy and safe approach to precisely move all your mail folders in Windows Live Mail mailboxes to a new or existing PST file. With this Converter for Windows Live Mail software, you can select the desired mail folders for conversion and simultaneously, preserve the exact email formatting and mailbox folder hierarchy. You can easily convert all your Windows Live Mail EML files to PST files without affecting the email integrity and other email properties. Easily transfer all your email messages from Windows Live Mail folders to a PST file. Get rid of all the locking issues that are generally encountered with Windows Live Mail accounts and move all your important emails to Outlook PST file. Working in the Outlook environment is comparatively easier and the preferred choice of a range of users worldwide. Run Stellar Converter for Windows Live Mail. The main interface of the software appears along with the 'Select Identity folder' dialog box. In the ''Select Identity folder' dialog box', select the Windows Live Mail identity folder to be converted and click on 'Convert' to begin the scanning process. When the scan is finished, the software lists all mailbox folders in the left pane. When you select a folder, all mails present in the folder will be displayed in the top-right pane. You can select any mail to see its preview in the bottom-right pane. Select the mailbox folders from the left pane and click 'Save Mails' button on the tool bar. You can save your converted mails to a new PST or an existing PST. Specify the destination PST file and then click 'OK'. 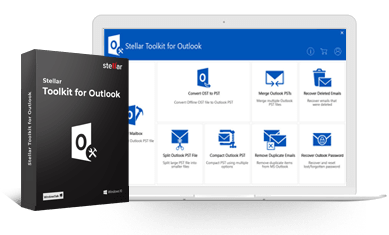 Stellar Converter for Windows Live Mail performs a successful email conversion preserving the original formatting, meta data, and all your vital attachments. Felling blessed when committed responsibilities were done by software.